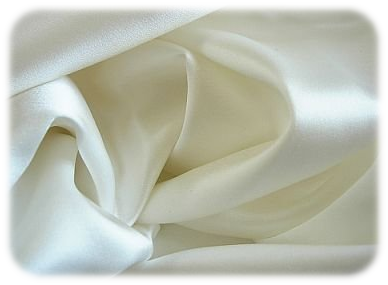 Silk is one of the best-known fabrics. It is one of the best fabrics. And it is one of the most luxurious fabrics as well. Silk has been around for millennia, and that alone makes it unique. Most of the silk fabrics in the world are mulberry fabrics, made from the fibers of cocoons of mulberry silkworms’ larvae. Ever heard of the Silk Road? No, I’m not talking about anything IT-related. What I mean is the Silk Road, the one that predates the modern civilization. Of course, people did not only trade silk using that path, but silk still was highly sought. People associate it with luxury for a reason. It’s often cold to the touch, smooth, lustrous and durable. Parachutes made from silk tend to be a little bit more reliable that those made from synthetic fabrics, and other organic fabrics can’t even be compared to silk when it comes to durability. Of course, with all that, it is no wonder that silk is expensive. Why are Silk Sheets Worth It? The price should never be the deciding factor. However, it may be a good indicator of the quality. Not necessarily 100% accurate but something to pay attention to. The features silk possesses make it a unique material. Did you know, that if a soldier in the trenches of World War One had silk underwear, he was virtually safe from typhus, the same typhus that caused millions of casualties? That’s because silk is far from the best environment for lice. And lice are an infection carrier. The silk in sheets is not the best environment for mites either. That makes it perfect for allergic people. Silk sheets are some of the best luxury sheets. 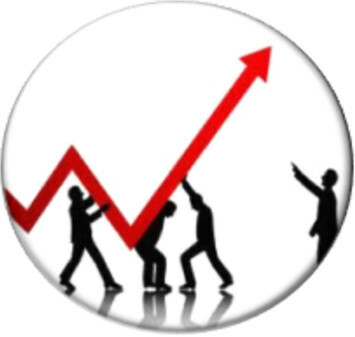 Price is one of the most prominent ones. Other than that? It would be hard for you to find any. But there are some. It’s just that they all depend on the sort of silk. Charmeuse sheets are the best. That is why I only include them in today’s review. They are the most durable and, dare I say, warm. The other sorts of silk have a lesser density than charmeuse. They may be more durable than sheets from other fabrics of equal density but not durable enough. Fitted sheets are the best kind of sheets. There is a good reason for that. After all, they don’t just slide off the mattress, no matter how much you toss and turn. They stay on, and that’s what counts. But of course, that is not quite as important as the material used to make this sheet. Fitted sheets are not hard to come by, and this one if but one of many. Silk sheets, on the other hand? They are rather different. Pricey, yes, but still hard to find. There is a lot of “silky” sheets, but that’s not the same thing. Understandably, they cost a lot. And the Aus Vio is no exception. So what is it that you get for such a price? It is not a set of sheets, only a single one. Is it even worth it? I daresay it is. But I realize how its price could be a deal breaker for many people. 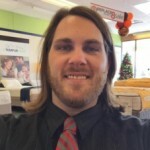 Not everyone is ready to spend on a sheet as much as a decent mattress would cost. The sheet is made from the charmeuse silk. There’s not much to add. 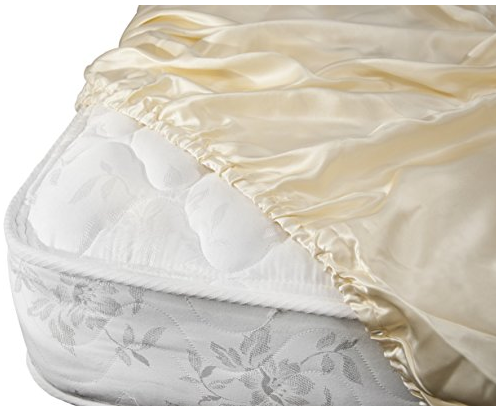 Perfect to the touch, luxurious to the feel, it is the best kind of sheet if you want to spoil yourself. Comes in more than a dozen colors and almost ten varieties. 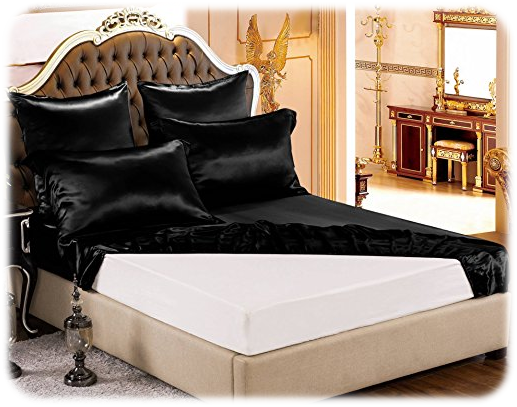 It is without any doubt the best sheet for those who want to be extravagant. I would especially recommend the black fitted sheet. You can also find flats sheets and duvets there, but I’m not going to review the duvets just yet, it is a talk for another time. The fitted sheet is suitable for mattresses up to 16 inches. That perfect for anyone who has a high mattress, which many people do. If your mattress is a bit flatter, don’t worry, the sheet would work with it just fine, though a high-end mattress is the best kind of mattress to pair it with. Otherwise, why spend all that money on a sheet? That said, this item is not as expensive as, for instance, the Aus Vio sheet, but the holiday season approaching, one can never guess just what is going to end up with a lesser price. Too bad Black Friday is over. The Taihu Snow sheet is made from 19 momme charmeuse, which means its density is approximately 83 grams per square meter. That’s comparable to the density of cardboard. Another masterpiece. Another sheet from charmeuse. It makes sense to use this sort of silk for sheets, so it’s not that surprising. After all, charmeuse is the densest type. It has the highest momme rate on average. Such a sheet weighs more and is very durable. The density rate is almost standard, 19 momme. It is only a flat sheet, which I find somewhat of a drawback but not precisely. After all, fitted sheets are a relatively recent invention, and they have to be, well, fitted. You can’t use an oversized fitted sheet. Now flat sheets, they are different. As long as they aren’t too small, you should have zero problems using them. If I were to be restricted to adjectives, I would say this sheet was super soft, super warm, smooth and almost sparkling. That is not an exaggeration. The fabric is soft and warm and, contradictory enough, very cool to the touch. How does that even work? Well, silk can be like that. The seller claims that while the sheets are imported, you would be buying it from the importer directly, unlike many other products. Given how relatively low the price is, that might be true. Even if it is not exactly so, the price is the price. The sheet is still not cheap but less expensive than some others. When purchasing silk sheets, one thing you have to keep in mind is if you really need silk sheets. There are no budget sheets of this kind. They are imported, as they always have been. I strongly suggest that you do not bleach anything made from silk, including sheets. Durable or not, it is always a delicate fabric. It’s not worth it. Make sure to machine wash silk in cold water only, and only dry it on the delicate cycle. Otherwise, you might ruin your sheets. Silk can take a lot of punishment, but it’s better not to subject it to it.